"She was from Philadelphia and an artist. She was a working woman who did book illustrations. 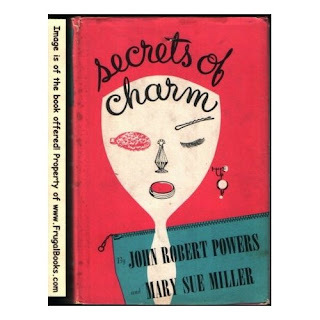 She illustrated a book in 1954 for the John Roberts Powers modeling schools called "Secrets of Charm". 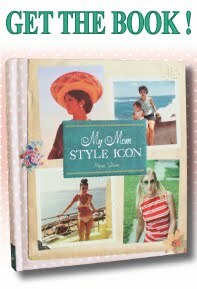 It is filled with pen and ink drawings of all things pertaining to be a woman in the early 1950's. 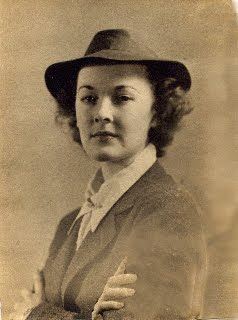 She worked in the art department at Snellenberg's Department Store in Philadelphia at the same time, where she met my father, Arthur Bloch, the son of one of owners. This photo was taken in Paris on a trip there with my father. She later entered into a more "bohemian" period where I remember her in our transplanted Houston home wearing a mink coat and tennis shoes, campaigning for John Kennedy. She was quite a woman, a beautiful woman, and I miss her." There is no flowing ease in the walk of a woman whose feet hurt! She moves in painful jerks or minces gingerly. She has a pre-occupied expression on her face that is as pained and pinched as her feet. A dead give-away to all! Sit on the floor with legs outstretched together. Alternately bend your foot toward you and stretch it away from you from the ankles slowly and hard. Get as much range of movement as you possibly can. About 25 times with each foot will work out most of the kinks.